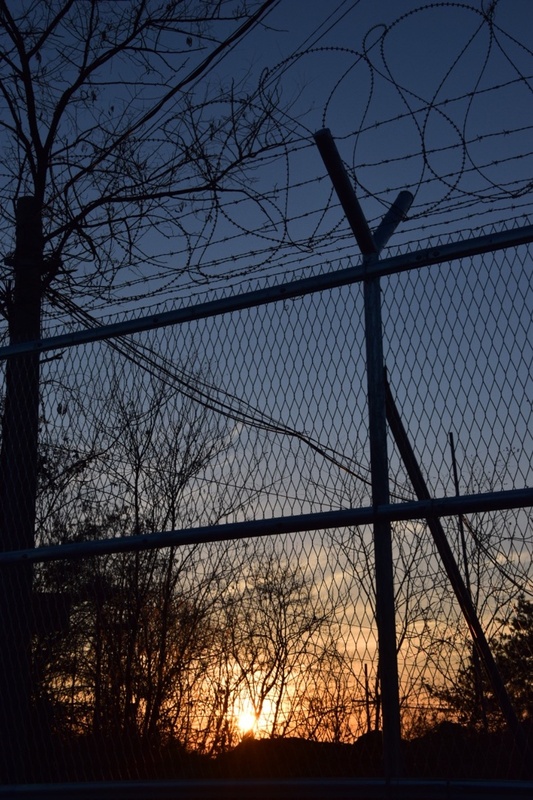 In the second part of the Korea series we will be looking closely more at the Korean Demilitarized Zone (DMZ), its implications and contemporary Korean politics. Left untouched by humans for the last 70 years, the DMZ cuts the peninsula in half roughly at the 38th parallel and divides it into North and South Korea respectively – these borderlands have created quite a unique situation: no border in the world looks like this one. The DMZ itself is 250 kilometre long and 4 kilometre wide: the demarcation line running through the middle of it and 2 kilometre of both North and South territory being incorporated into the DMZ on each side of the demarcation line. There is only one place where North and South Korean soldiers actually face each other – that is the Joint Security Area (JSA) in Panmunjeom, which when I tried to book a tour in December of 2018 was said to not be open for the visit of tourists anymore as both countries had been withdrawing their soldiers in lights of recent talks. Additionally, they had begun to dismantle the guard posts along the DMZ as well as its demining which was decided upon at the third inter-Korean summit in 2018 as a military trust-building measure to transform the DMZ into an area of peace to avoid all possibilities of the danger of war, leading to all firearms, ammunition and guard posts having been withdrawn. A quite unexpected consequence of the creation of the DMZ has been the wildlife preservation, with estimated thousands of otherwise extinct or endangered species being able to live in a zone that is only known for its separation of the Korean peninsula. Rare animals such as the Manchurian cranes have been known as one of the most famous inhabitants of the DMZ – though unfortunately I did not see any on my trip there. The Asiatic black bear and musk deer have also been spotted with reports of tigers as well which have been extinct on the Korean peninsula since the Japanese occupation. In December of 2018, I was granted the opportunity to take a trip to the Demilitarised Zone organised through a group called Foreigner 08, which offer quite cheap trips for foreigners. I had done some other trips with them as well, and they offered a trip to the DMZ for 25,000 Won (around 20 Euro) – if you book anything online, it will cost you at least 40 Euro. We took a bicycle tour along the DMZ, followed with a tour of the 3rd tunnel (a tunnel dug by North Koreans to infiltrate the South) and ended with my personal highlight of the tour: a trip to Dora Observatory from where one can see far into the North. The DMZ itself is quite a fascinating place to me. Left majorly untouched by humans for the past 70 years, I have not seen any thing like this before. Being European the entire concept of borders is already intriguing to me as thanks to Schengen border crossings aren’t really a hassle anymore. I have had the opportunity to visit the United Nations Buffer Zone in Cyprus commonly also known as the Green Line which is also a demilitarised zone, yet it gives an entirely different vibe. 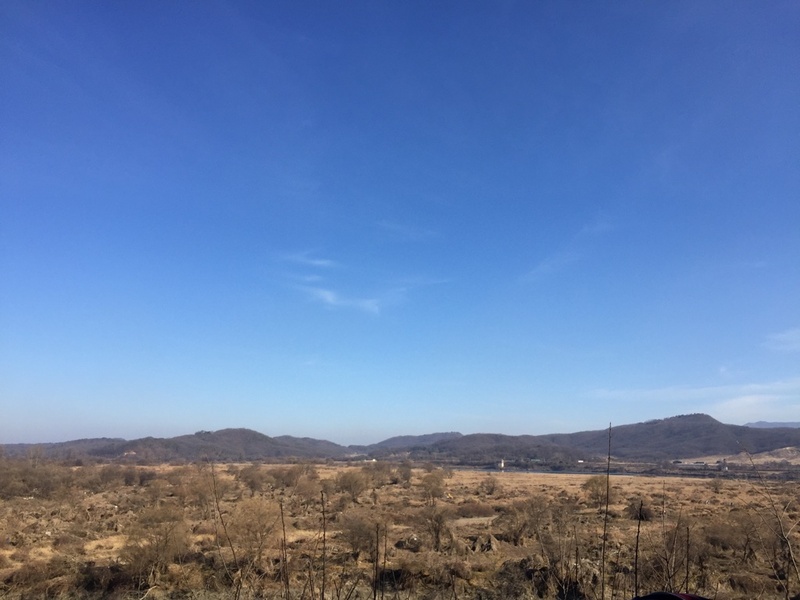 Biking alongside the DMZ is the first closer experience I had, and we are able to see the DMZ for the first time, yet I find the experience rather depressing, with hardly any blooming plants or signs of life really – to be fair it is December – and everything is bare and brown. It becomes even more depressing when we take a break and read up more information on the DMZ, learning that it remains uninhabited except for two villages, one in each respectively of the South and North Korean part of the Demilitarized Zone, having strict regulations such as curfew at 11pm and only the descendants of those owning land within the DMZ prior to the Korean War being allowed to live there – receiving tax breaks and exempted from the mandatory military service (at least those being the rules for the South Korean village). Much more so impressive I find Dora Observatory. From there I can see both North and South Korea equally well, and there are binoculars which allow an even more precise view into the distance – though to be completely honest I am probably more focused on getting the right picture myself. It is a very impressive sight and I don’t think I have ever seen anything that was quite like it. 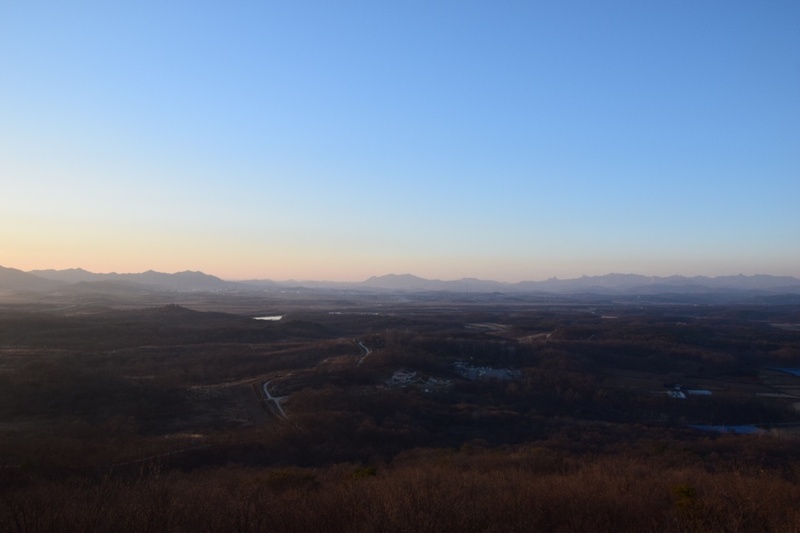 The sun is setting in the DMZ, in this no man’s land and it turns the vast landscape into a pink hue, the golden hour is beautiful – even here. Shadows fall on the North Korean side but behind its mountains the sky stays clear blue – slowly fading it a light pink. An effect, that my friend Freya wittingly captures on Instagram with “‘Look, Simba, everything the light touches is our kingdom.’ – ‘Everything the light touches… What about that shadowy place?’ – ‘That’s beyond our borders. You must never go there, Simba.’” Sad, but fitting. The thing is that so many times I hear people talking about North Korea as if it’s a joke, making fun of its leader, as if it’s not an actual country. Especially when you’re in Europe and it seems so incredibly far away. But the moment you look over the edge of the Observatory and you see the land stretching out in front of you and the village and all of it being North Korea, it becomes so much more real. The threat that this country poses with its nuclear testing, how insanely close it is (the DMZ is only 60 kilometres from Seoul!) but also that there are people living there – I think that is something that is very easily forgotten. Korea is so far away from Europe, the only time Korea actually appears in our news is when North Korea is doing nuclear testing, but Korean political history is just as interesting as the European political history. Or, as my Korean professor said jokingly: “name another country were half of the alive previous presidents are in jail.” True, off the top of my head I cannot think of another, but for people not involved with Korean politics it must sound surprising. South Korea runs as a presidential representative democracy with the current Korean president being Moon Jae-In, elected in 2017, who has managed to gain popularity for his work towards normalizing relations with North Korea, culminating in the April 2018 meeting at Panmunjeom, when Kim Jong-Un stepped symbolically over the border to the South, and together with Moon Jae-In crossed the border to the North. Preceded by President Park Geun-Hye, another famous president who made a name for herself through becoming the first female president in the East Asian region, but was already long famous before her term began through her family’s legacy: her father being the military dictator Park Chung-Hee who ruled South Korea from 1963 until his assassination in 1979. A very controversial president as he restricted personal freedoms, but he is also credited for the Miracle on the Han River and South Korea’s economic boom – he is considered to be the most popular South Korean president by some. Park Geun-Hye’s presidency ended abruptly with an impeachment scandal, and she is currently imprisoned for 25 years – however, there are still on-going demonstrations calling for her release. Park Geun-Hye’s predecessor Lee Myun-Bak was found guilty of tax evasion and bribing charges a year after her conviction and is serving now 15 years – leaving the only alive previous presidents to be Chun Doo-Hwan and Roh Tae-Woo, who have anything but a clean past, both being sentenced to serve time in jail on accounts of bribery and their involvement in the 1980 Gwangju massacre, but were pardoned by the succeeding president Kim Young-Sam. Korea’s contemporary history is rich of failures and successes – but what does the DMZ mean for Korea’s future? As long as it remains in its current state – a peaceful co-existence or reunification remains outside of the scopes of imagination. But both Moon Jae-In and Kim Jong-Un have committed themselves to making the DMZ a “peaceful zone”, the first step towards not only normalizing relations on the Korean peninsula but also to establishing longer-lasting peace in this region thus giving way for a new future. In hardly any other place do past, present and future so abruptly meet in one place like in the DMZ. Frozen in the past you can find the untouched area of the DMZ, littered with its leftover landmines, villages from before the DMZ was there – though they are today hardly anything more than propaganda villages. The beginning thaw of inter-Korean relations give way for a more hopeful future, concrete actions have been taken, a first clear future is already in sight: peace on the peninsula. The DMZ serves as a daily reminder of not only the ongoing division on the Korean peninsula with its inter-Korean relations being anything but peaceful, it also reminds of a war that was only settled temporarily with an armistice more than half a century ago. What I want to show not only through this article but even more so through my pictures is that no matter the differences, no matter the long and painful history as divided nations, a sunset in this no man’s land still can be incredibly beautiful. Every sunset does bring the promise of a new dawn – even for Korea.